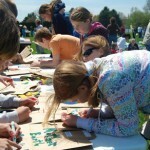 Letort Elementary students celebrated Earth Day by decorating brown grocery bags with Earth Day and green messages. The grocery bags were then used at John Herr’s Village Market to bag customers’ orders. 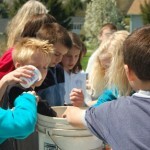 The students also planted seeds and participated in other Earth Day activity stations. 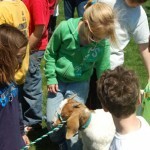 Local families brought farm animals for the students to visit with and to learn about.